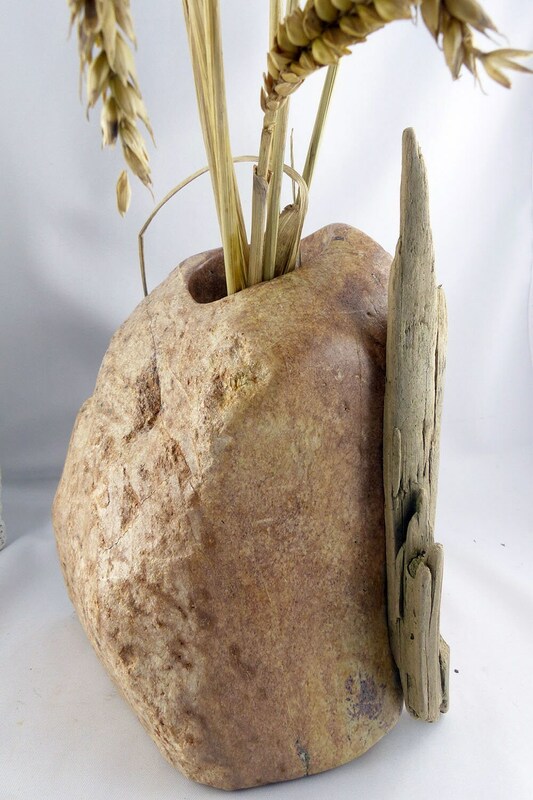 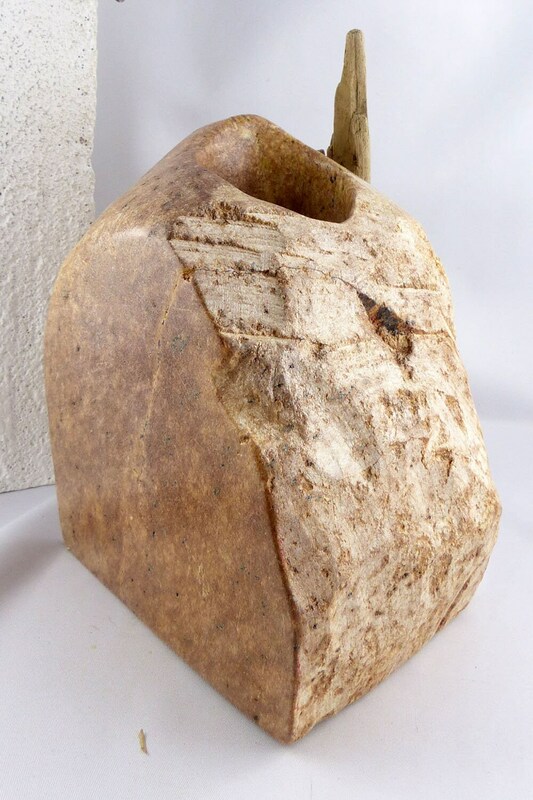 “FREYA” – this extraordinary stone vase is hand-carved of brownish Indian Steatite in dark and light shades with interesting grains. 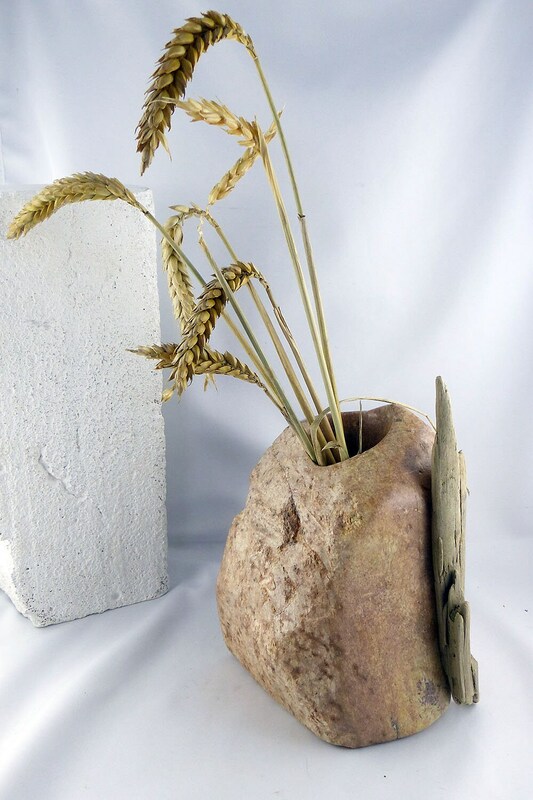 Natural textures and a massive look combined with an unique piece of driftwood from the German Baltic Sea coast make FREYA a stunning eyecatcher at your home interior. 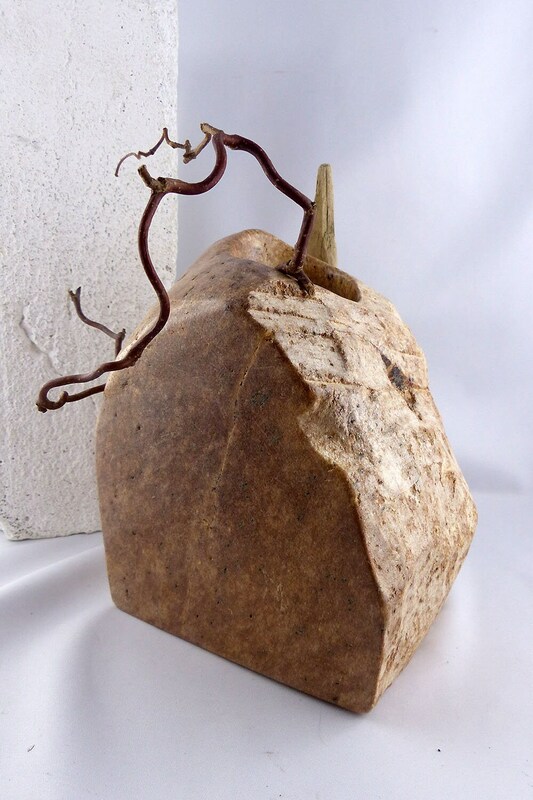 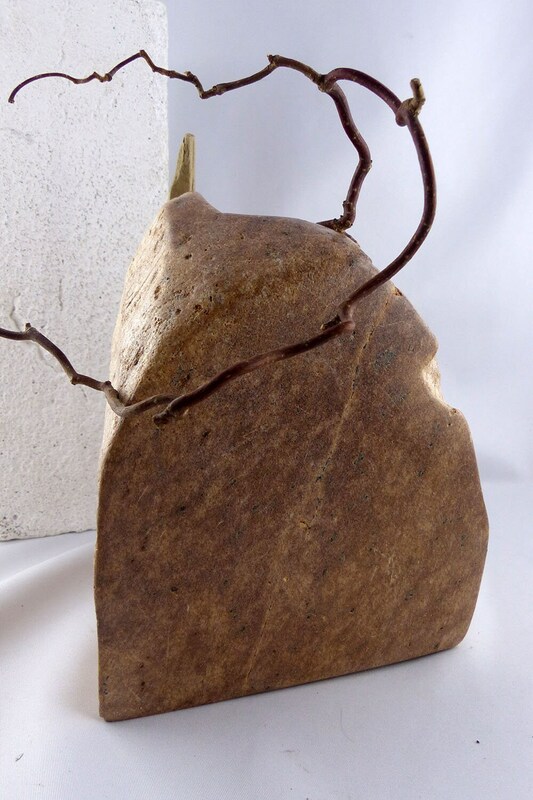 TYPICAL for StoneSoftArt's Design is the combination of seeming CONTRASTS. 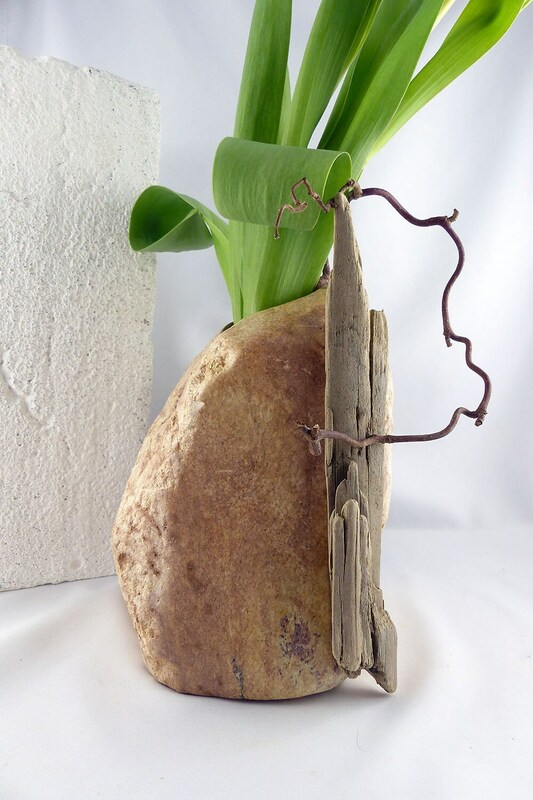 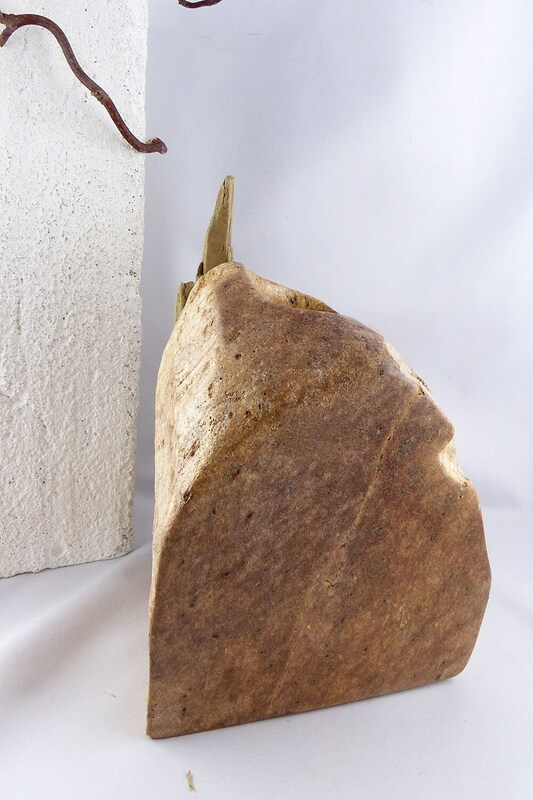 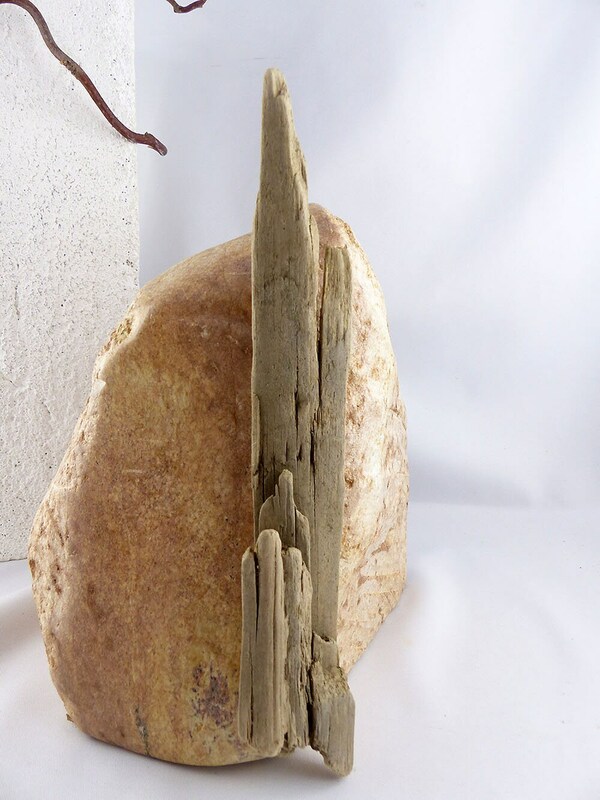 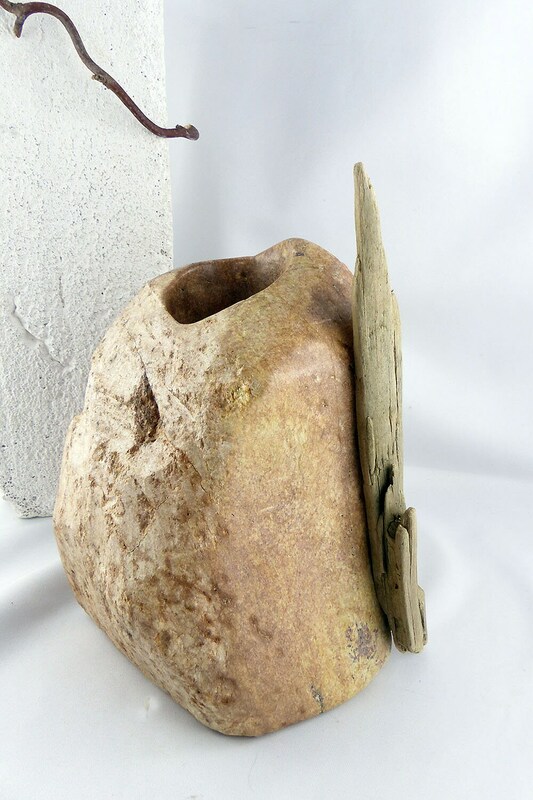 That's why we always keep one or two sides of our steatite objects raw to make you see and feel how the piece is changing and transforming through our specific work.